So, now some interesting things in next 3-4 posts. Today, 7 Karakas of Astrology. Let's split this post in two parts, else it will be real long post with too much of information in one go. Today, let's see how to find various Karakas and tomorrow we will see what each Karaka represents and how things related to a particular Karaka can be felt during its Mahadasha/Antardasha? So, 1st of all, what is meant by Karaka? Karaka literally means significator or indicator. Like Jupiter is karaka of wealth, so Jupiter's position in horoscope can indicate how wealthy a person can get? Timing of getting wealth? Similarly, Venus is Karaka of Marriage, so Venus Mahadasha/Antardasha can indicate the timing of marriage. This is very generic explanation of Karaka, predictions depend on many other things too along with Karaka. Likewise, all 7 planets (leaving aside Rahu and Ketu) become Karaka/Significator/Indicator of one or the other aspect of life. So, lets see what are these Karakas, their roles and how to find them? Now these Karakas are of two types, Sthir (Immovable) and Chara (Movable). 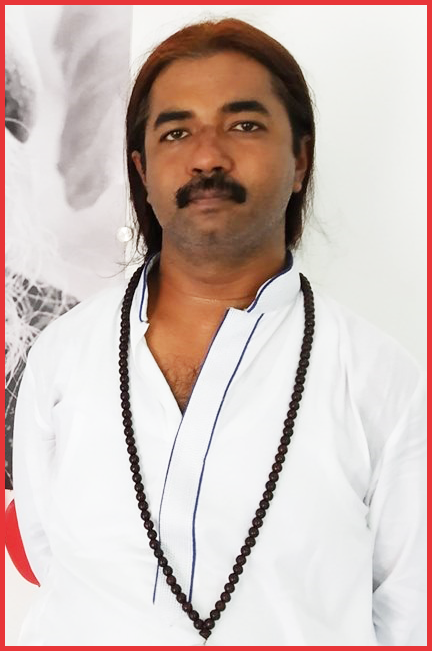 Sthir Karaka are same for everyone, like Sun is Sthir Atma Karaka for all of us, Mercury is Sthir Amatya Karaka for all and likewise all planets take roles of Sthir Karakas of different things for all of us. Planet with the highest degree - Mercury is Atma-Karaka (Soul Significator). Planet with the 2nd highest degree - Venus is Amatya-Karaka (Pathway Significator). 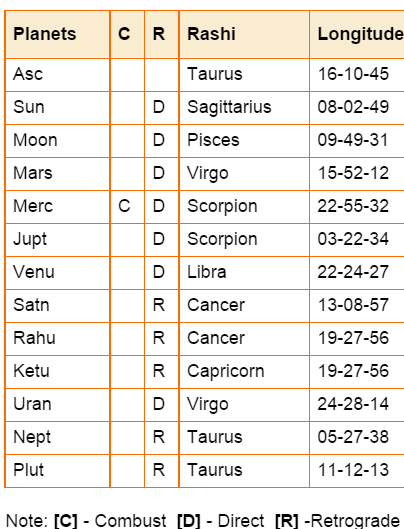 Planet with the 3rd highest degree - Mars is Bhatru-Karaka. (Sibling Significator). Planet with the 4th highest degree - Saturn is Matru-Karaka (Mother Significator). Planet with the 5th highest degree - Moon is Putra-Karaka (Chidren Significator). Planet with the 6th highest degree - Sun is Ghatni-Karaka (Obstacles Significator). Planet with the 7th highest degree - Jupiter is Dara-Karaka (Spouse Significator). Now, if someone is born with Mercury at lesser degrees, then Mercury won't be his Atma Karaka, some other planet which is at highest degree in that horoscope will take that place of Atma Karaka. That's why, they are called as Chara (Movable) Karakas. Next post will describe what each Karaka represents and how things related to a particular Karaka can be felt during its Mahadasha/Antardasha? @ Nikhil - only planets are karaka, not ascendant. Sir, but what if the Ascendant degree is higher than the degrees of the planets. As my ascendant is Leo. Should we consider it?? ?